'cause he's kind of a picky eater. Pour applesauce into 3 1/2 quart slow cooker. Add the sweet potato slices and sprinkle or drizzle with brown sugar or honey. Add pork and sprinkle lightly with salt and pepper. Spoon cranberry sauce over all. HOPE everybody has an awesome weekend! 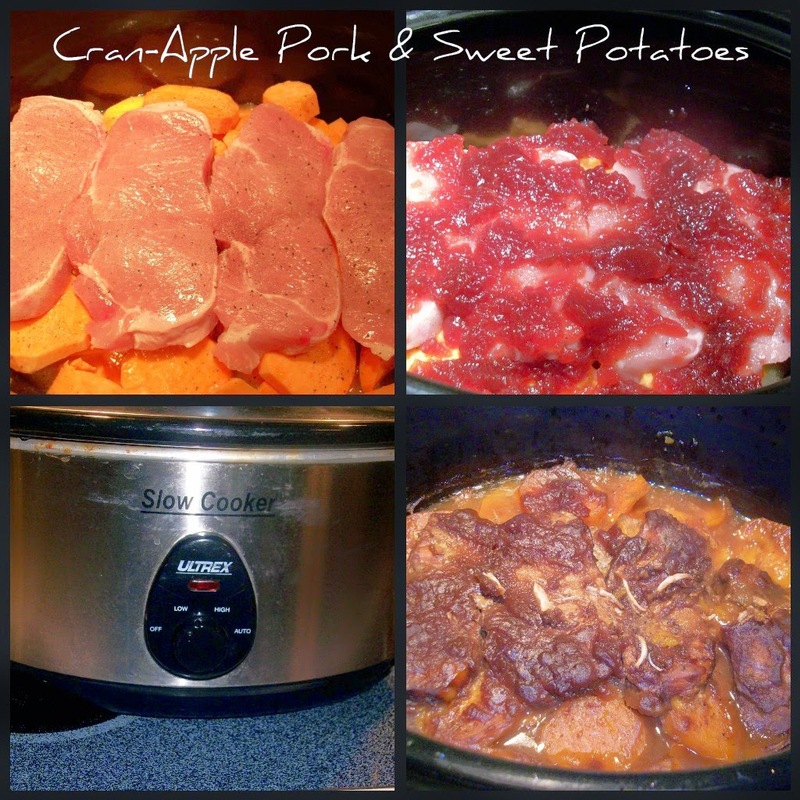 Now this looks like a fabulous slow cooker meal! I love all of the ingredients. Thanks so much for sharing!